To create a typeface using everyday materials and display it in a booklet. I chose coffee as my theme and ground coffee to make up the letters in my typeface. 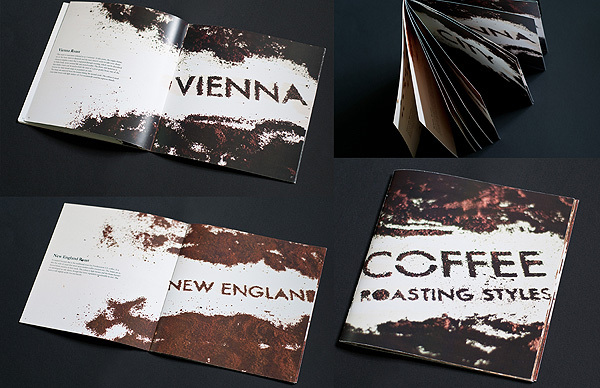 Each page layout illustrates a different roasting style from green beans to the darkest spanish roast.